Invest in a swimming pool in Cyprus and you will have a constant source of leisure and pleasure right on your doorstep. Selecting a pool to suit your needs can be a difficult and daunting process. We can give you expert advice on planning and we will design the perfect solution to suit your needs and budget. Which ever type of swimming pool you decide on, we will ensure that you have many happy years of cooling down and swimming. Z&X Mechanical installations are exclusive agents of HAYWARD pool products from USA. A solar pump connected to a controller can be used for the recycling of a swimming pool, making the pool work exclusively by the sun, saving large amounts of electricity. Please view the Photovoltaic section for additional details. 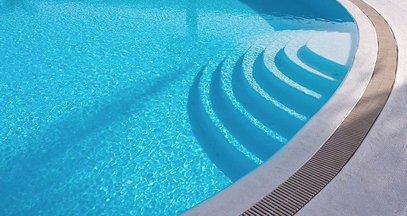 Choose from our range of Cyprus swimming pool types to suit all requirements. 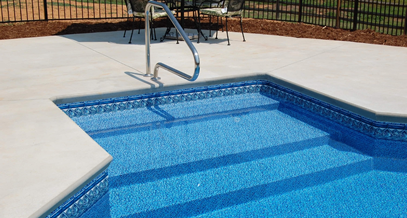 Our swimming pools are available in prefabricated liner or concrete mosaic or liner.